Situated on the western coastline of Tahiti, Hitimoana Villa Tahiti offers waterfront bungalows with a private patio. 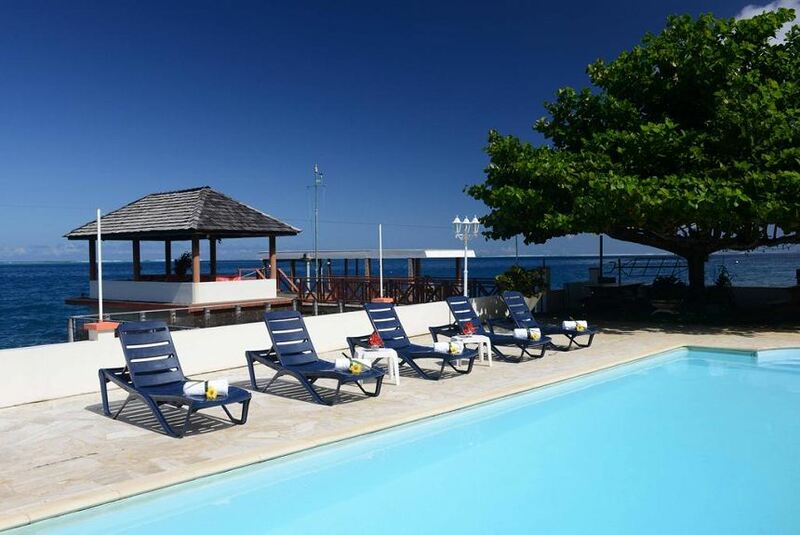 There is a swimming pool surrounded by sun loungers and free kayaking and snorkelling can be enjoyed onsite. Surrounded by lush tropical gardens, the family-run Hitimoana Villa offers a peaceful retreat, just 6 minutes’ drive from the nearby black sand beach. Papeete is 25 minutes’ drive away. The property offers a private pontoon, ideal for fishing. The tour desk books surfing, sightseeing trips, diving and horse riding. All bungalows include a ceiling fan, tea/coffee making facilities and a private bathroom with hot water. Most bungalows offer lagoon or garden views.